Group Rates available for more than 5 persons. Private tours also available. Please contact us. 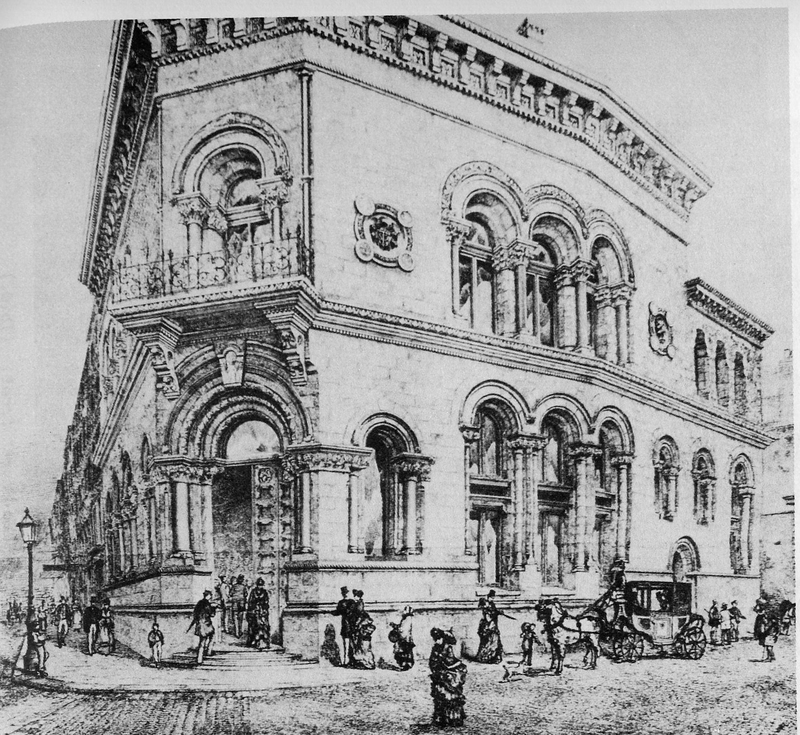 Competition between joint-stock banking companies in the nineteenth century was intense and architectural prowess was part of the arsenal employed by the boards. This has resulted is some of the most impressive buildings still dominating many streetscapes of the city. 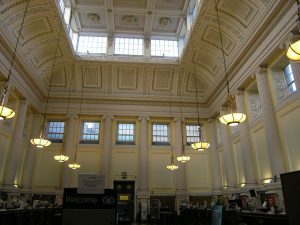 The locations, eclectic architectural styles and exquisite banking hall interiors are the subject of this tour. Most eighteenth century private banks in Ireland had a small turnover and did not use a specific building type. 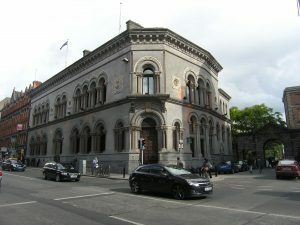 An exception is the very fine neo-classical Newcomen bank on Castle Street, built in 1781 by Thomas Ivory and located outside the main entrance to Dublin Castle. 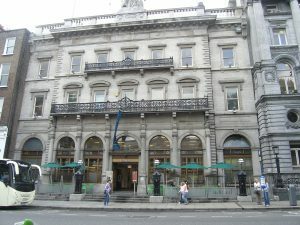 Following the Act of Union, the Bank of Ireland purchased the Parliament Building as a head office and accompanying banking hall. The internal changes were made by Francis Johnston and the influence of Soane’s work at the Bank of England is apparent. 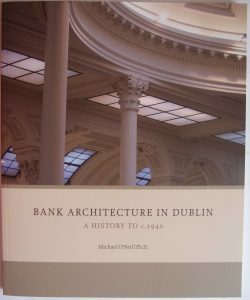 Due to the Bank of Ireland monopoly and the delay in the introduction of joint-stock banks, it was mid-century before Johnston’s monumental top-lit banking hall could be responded to by other banking companies. 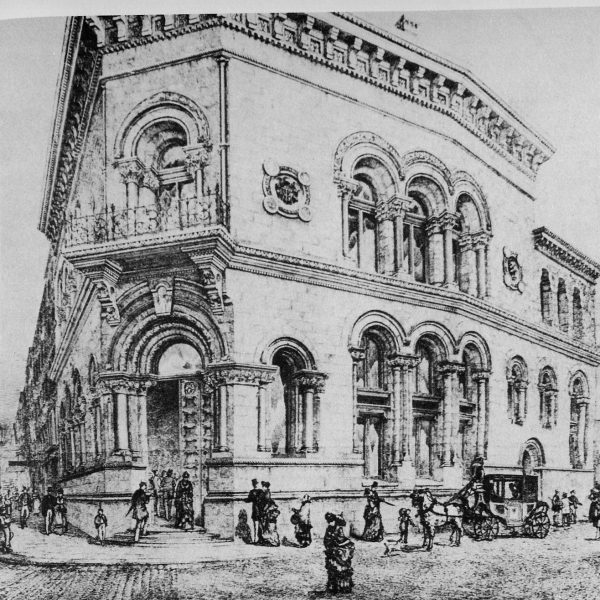 Bank head offices were drawn to College Green and Dame Street following the precedent set by the Bank of Ireland. 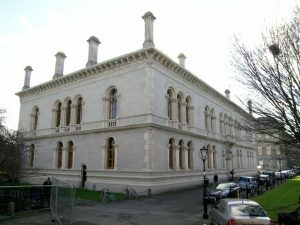 These were initially built in an Italianate classical style – The National and Royal Bank and later, following the influence of Deane & Woodward’s Museum Building in Trinity College Dublin, in an Italianate Gothic style – Provincial, Hibernian and Munster & Leinster.